These pieces were inspired by my desire to discover more about people and wondering what we all have in common. I wanted to express the words that we don’t say out loud but can be conveyed in our facial expressions. 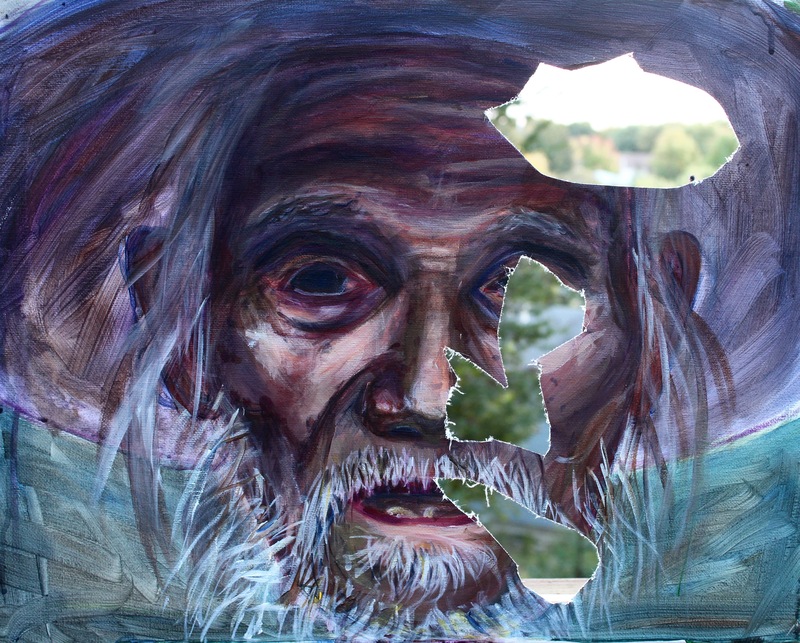 The painting titled Holes depicts a worn, old man but parts of his face are cut out to represent how life at times can tear holes through people and create scars. However, beyond the pain, there still exists happiness as shown by serene scenery past the canvas. 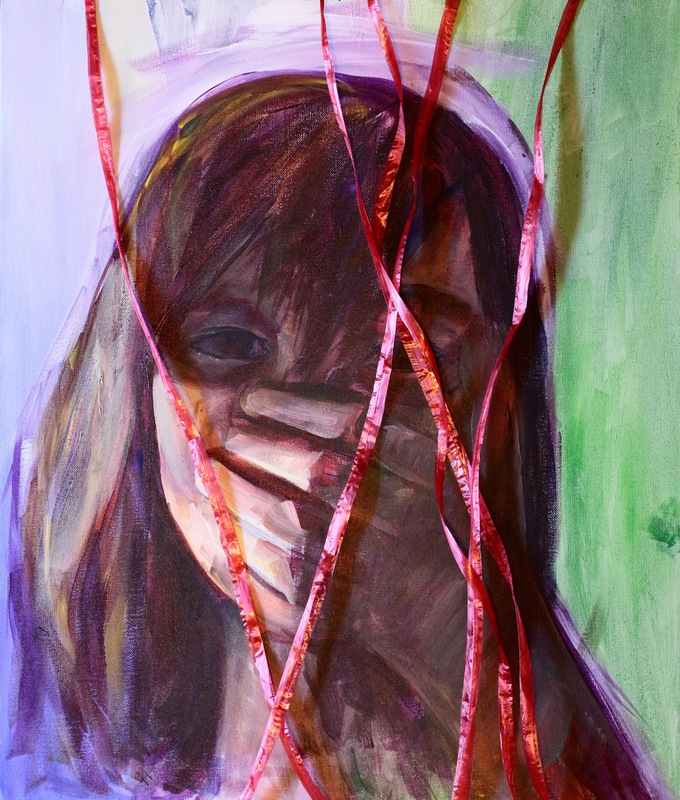 For Silenced, I wanted to express how at times I felt like no words could express the emotions I was feeling, bound by inexplicable ropes, as some other girls may also feel. Thus, I wanted people to know that even if our words can be silenced, our art will not be. Joy Xie is a junior at Mountain Lakes High School and lives in a small town in northern New Jersey. She enjoys painting and reading in her free time, developing a passion for these hobbies as a young girl. She has been published in Celebrating Arts, Aerie International, and AIPF and has received awards in Scholastic Arts and Writing.